For those who don’t know (I moan about it often enough! 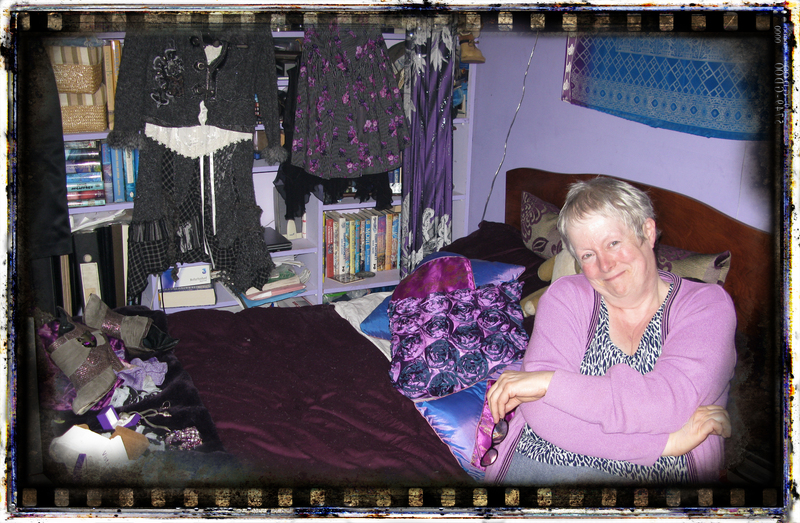 ), I am a slave to back pain, and have been for the last twenty years. It’s been especially bad the last few weeks, so I haven’t been able to get much done in the shed 😦 So without access to hammers and blowtorches, I’ve been playing with beads and made these bracelets. Something I can do on a tray on my lapped while propped up by lots of cushions! 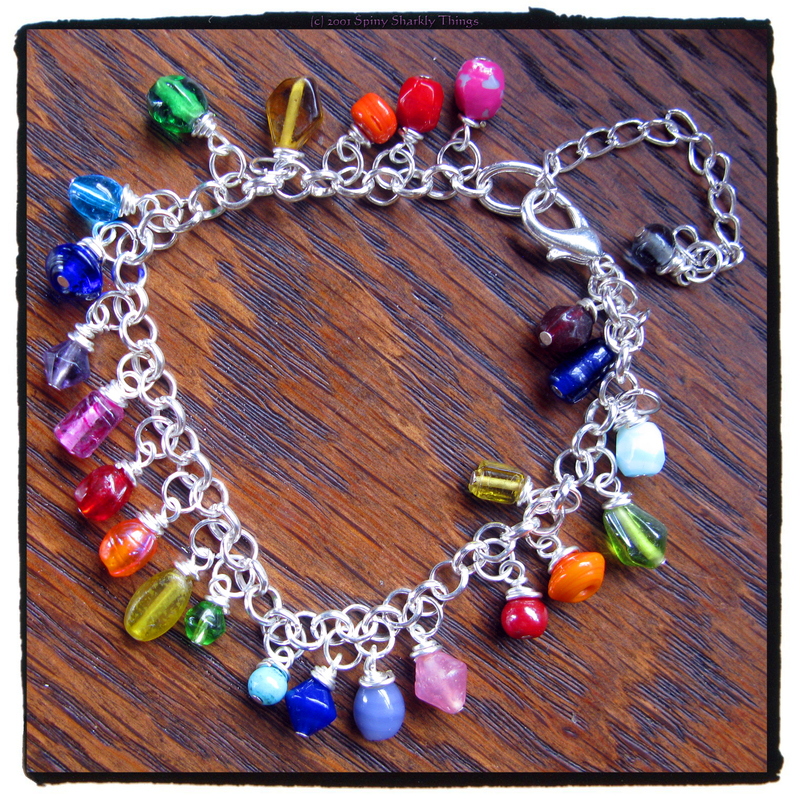 Droplets of glass hang from this pretty silver plated chain which measures 18cm (7") plus an extender chain. 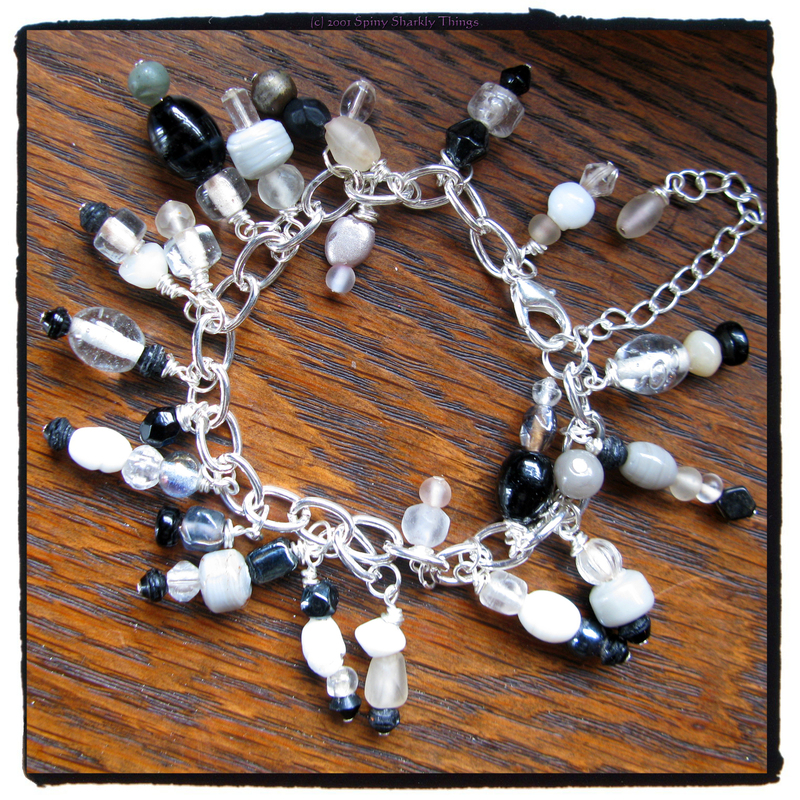 The beads have a grungy monochrome colour scheme, off-whites and cloudy greys contrast with distressed blacks and metallics highlighted by bright flashes of shiny silver. Thunder and lightening for your wrist, perhaps? 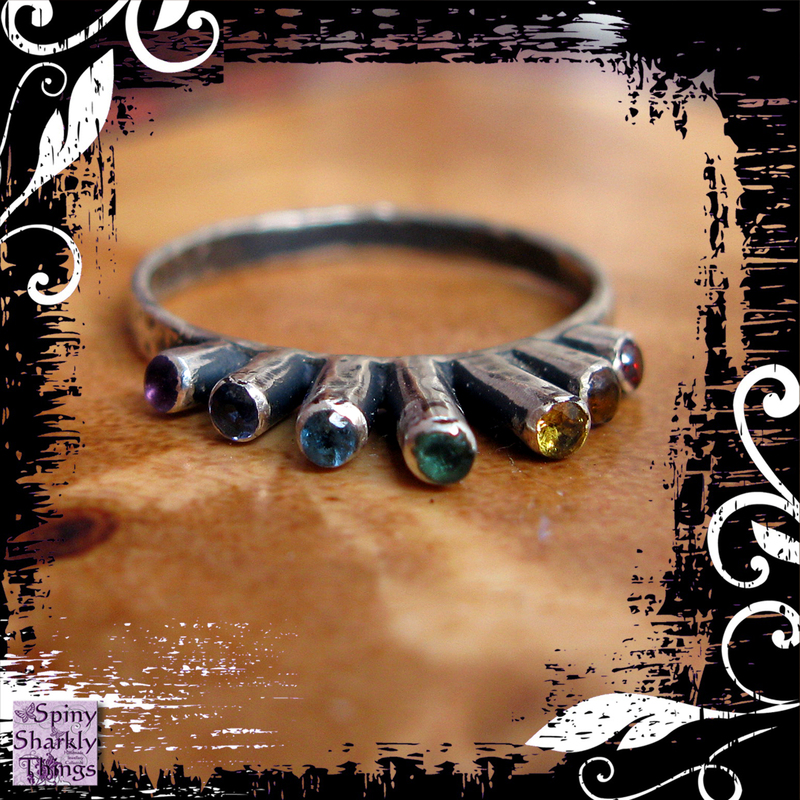 Sunshine on a rainy day gives you a rainbow 🙂 Just in case the weather doesn't oblige, why not wear your own personal flash of brilliant colour? Lovingly handcrafted in a purple shed in the heart of the Rhondda Valley, each individual glass bead hangs from a high-quality silver plated chain which measures 7 1/2" (19cm) plus an extender chain. I was lucky enough to find some very pretty lace when I was out and about with Liz in the week, so I thought I’d share that with you too! 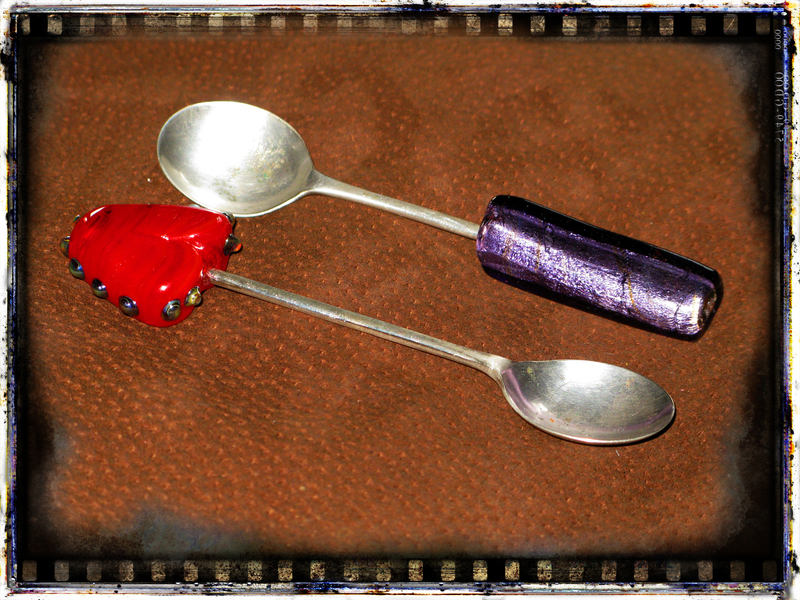 Some will be incorporated into a couple of Steampunk projects we have on the go, so do come back and see just what we do with it! 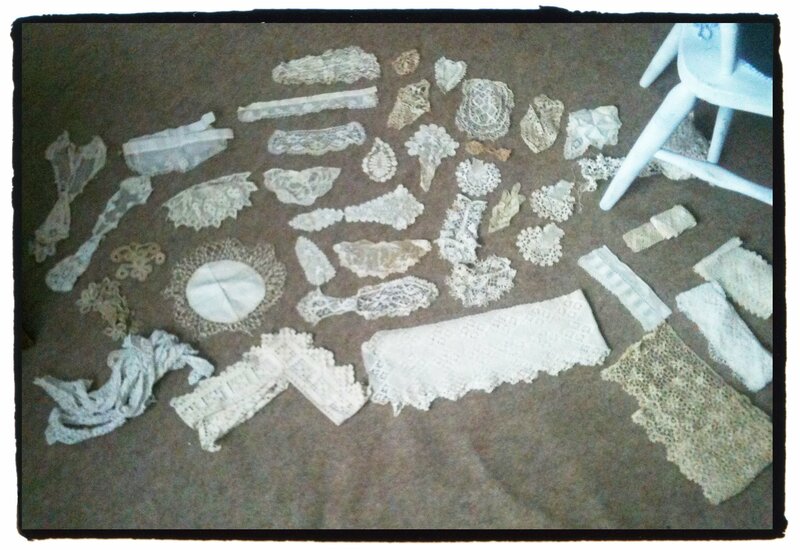 Quite an impressive array of vintage lace! I went to see Harry Potter and the Deathly Hallows 2 today with my lovely friend Liz, and as always I paid great attention to the props, clothes and shinies! 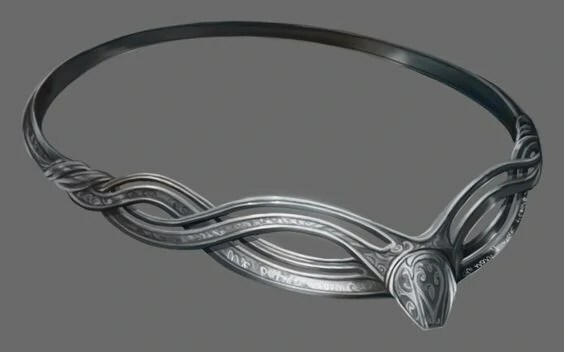 I would love to be able to make something like this, the Diadem of Ravenclaw… Perfect attire for the school run, don’t you think?